Gamelan is a suite of musical instruments from Greater Sunda Islands in Indonesia. 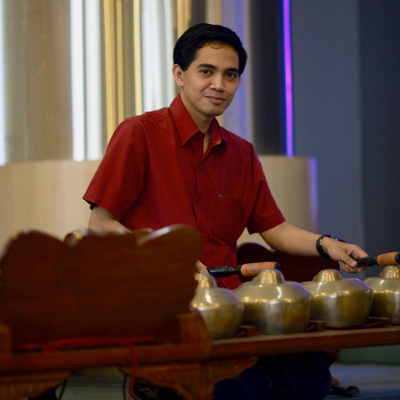 While some neighboring countries are currently using gamelan as one of the icons to attract prospective tourists to visit the regions in Southeast Asia, and there is no doubt that any reginal cultures result from mutual influence of the neighbouring ethnics, it has been admitted by international communities that the musical orchestra suite called gamelan is indeed a culture of Indonesia. Javanese gamelan was once performed in the U.S. in the 19th century. Also to European countries at the beginning of the 20th century. At that time, the composer Claude Debussy was so enthralled. 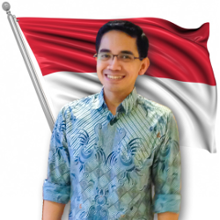 “Compared to this Javanese music, the European music is really decadent,” he implied. Then we could see many works of Debussy referring to the style of gamelan. Previously, the young Debussy was heard complained, “All the beautiful tones have been written by Wagner. What could be left for our generation?” But then who would have thought that, in addition to atonal music style, he also fled to the gamelan? In Indonesia, we could see the Javanese gamelan that is gentle and philosophical, Balinese gamelan that is very dynamic, Sundanese calung, and other variations. I spent my childhood in Malang city in Java. As in many other places, local cultures were included to the formal education. At school we were taught how to play the gamelan, how to sing Javanese tembang, how to write old Java script (aksara Jawa), etc. Our teacher was an expert who has a great passion in traditional art. He recognized that I plays gamelan quite well, technically. But he also said that I do not have the artistic soul. Particularly, I know he hated it when I tried to play rock and roll with the kendang when the the auditorium was still quiet. But, when conducting a performance in front of students parents, he appointed me in the position of kendang, which according to him was not equivalent to the drums or timpani, but more like a conductor: to lead the rhythm. I must recognize that in fact I’m not a real fans of Javanese culture. I love universal culture. What’s the point of having Ronggowarsito in Java, when we also had Marx or Nietzsche in the same era. But gamelan is different. It remains as my interest. A few years later, after graduating from Coventry, I got a feeling that I missed gamelan. So I volunteered to join the traditional art ensemble in Bandung to play gamelan. That was not simple: I had to spend 2 nights per week to improve my play, with people who were as tired as I was, after office hour. At that time we managed to perform The Legend of Ande Ande Lumut in the form of Wayang Orang, with full gamelan orchestration. I held an instrument called Bonang Penerus. This position was quite stressful, visually. At the other instrument players could look at the stage, my position required me to look at the audience. I could not play while viewing what’s on stage, but continued to see the expression of the audience.There were some other small events when we casually play the gamelan, including accompanying a wedding ceremony of the son of our R&D Division’s boss. It was surprising. The brides parents actually invited us, and wondered why many of our team did not appear to come. After finishing playing, we greeted the family. The boss stunned as he realised that some of the guests he expected were really playing the gamelan orchestra for the ceremony. OK, the last picture here is not a real performance. Last week I had to provide a presentation about Mobile Blogging at the Telkom Building in South Jakarta. In the hall, I saw a quite complete set of a gamelan instruments. After my presentation, just before the lunch, I spent a couple minutes to play the Bonang Barung instrument, very-very softly. And the prominent blogger Priyadi took my picture. Kuncoro Wastuwibowo: an engineer works with Telkom Indonesia, a volunteer for the IEEE, a jedi knight. Contact me via Twitter: @kuncoro.